Find out who's visiting your website, what they want, and how to better serve them so they come back again. Having a website isn't really much use if you can't see how many people are using it, and more importantly, exactly what they're up to. A simple counter is useless for anything other than (potential) ego-stroking, while most free stats programs offer plenty of information about who's visiting your site but not much about how they're using it. Google Analytics, however, offers enterprise-level stats tracking, served up in a form that anyone can use – not simply because it's free, but because it's only as complex as you want to make it. The real data-crunching, though, happens on the Dashboard. Most of the statistics you need are set up and ready by default, and accessed via the Standard Reporting tab. For more specific reports, visit 'Home, select 'New Dashboard' under the Dashboard menu, and you can create your own selection of reports via widgets. Drag them around, put the important ones at the top, and copy the URL to return straight to this screen. Google Analytics focuses on the last 30 days' worth of traffic in most cases, but you can change that if you like. Click the date in the top-right corner and a calendar pops up where you can choose your own time period. There's also a 'Compare To Past' option, which both charts the difference between two sets of periods (usually this is last week/month or a year earlier, but can be anything you have data for) and displays pure percentage rise or fall figures. In most cases, the names of each statistic are self-descriptive – Visits for instance is, obviously, the number of people who've visited your website. There's some subtlety, though, especially when judging your overall success. In most cases, for instance, the key metric is Unique Visitors rather than simply Visits – how many different people have visited your website (accounting for the fact that Analytics has no way of telling whether it's the same person on different devices, such as a mobile phone vs a desktop PC). Your site's Bounce Rate is the number of people who visit, and leave the site without opening a second page. This is always going to be high, but exactly how high depends on what your website is. If you're selling something, and everyone's leaving at your fancy splash page, it would be a good idea to ditch it and get right to the meat. For a blog, on the other hand, most regular readers are going to visit, see whether there's anything new, and then leave if there isn't. The rate is therefore going to seem high regardless of how appealing your content is. 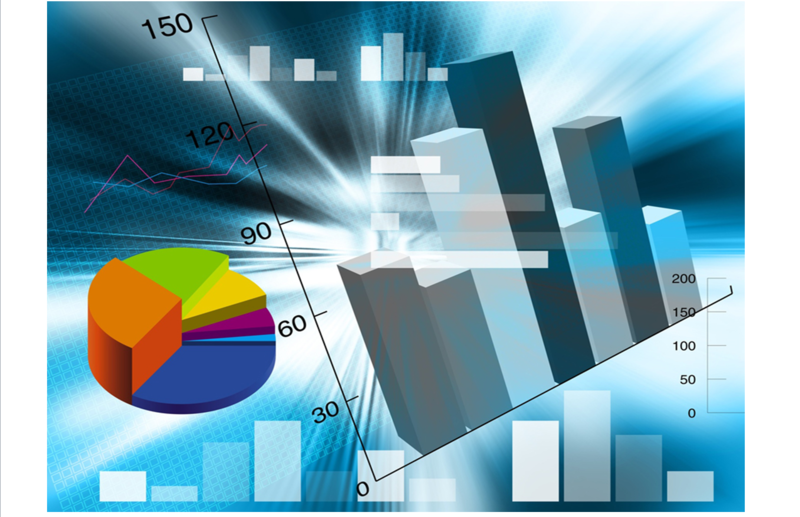 Statistics aren't simply a tool to see your site's success, however, but also to improve it. No matter that you think users should be interacting with it, there's always something you can do to make it easier, or draw people in more closely. For starters, how about finding out how they navigate your site and find things that aren't right on the homepage? Under the Demographics panel (full of metrics such as Location and Language that don't need explaining here), you'll find a view called Visitor Flow. This potentially terrifying-looking graph (depending on your visits and site complexity) charts the path users take through your website. On a portfolio, for instance, you're going to want a decent number moving from the 'Hello!' front page to information on how to hire you. From this view, you can see whether people are actually heading there, or being distracted by your photo collection, or links page, or something else. Alternatively, if you're running a shop and see that people are running through your purchase screen but they never actually make it to the part where you take their money, this is a good hint that something's gone wrong with your site. Every step charts both where most people are going and the drop-off at that level of interaction – the further you step through interactions, the fewer people will still be clicking through. As with everywhere else in Google Analytics, you can also drill down into this data, viewing by all visitors, new visitors, mobile visitors, or the potentially very useful selection of visitors who were sent your way by paid search traffic. If you see a problem, this information alone might give you the ability to fix it. If not, head to the Conversions menu and you can set up specific Goals to watch out for – how many people end up on a 'Thanks for Registering!' page – and Funnels to see the journey as well as the destination. Goals can be specific destinations, visit durations, pages per visit viewed, or events – the only complicated one of the set, but which can be configured for things such as file downloads and anything involving Flash-based movies on your site. Unfortunately, that requires you or your web developer doing some simple coding, though a guide to this is available through the Analytics help system. Google Analytics doesn't simply show you that something's wrong, though; it also gives you the tools you need to fix it. Under Demographics, for instance, you can see what browser most people are using to visit your website, and where they're coming from -which is all valuable information when you're deciding on language, support, and whether your audience (rather than the more tech-savvy part of the world) is still using an outdated browser and it's in your interest to either support or gently nudge them into upgrading. The really cool tools, though, are under Content, including how long it took users to download your page (tests show you have under 10 seconds to convince people to stick around, and they make their first impression in literally 50 to 500 milliseconds), any internal searches they carried out, and which pages are your main Landin (arrival) and Exit points. You might think that's always going to be your homepage, but in an era of social networking and search, you never know. Say, for example, that a big blog such as boingboing.net linked to one of your pages. Once your server stops melting with the excitement, it might be a good idea to ensure that it has any context people need to know that will be lost a year down the line, or perhaps a more direct pointer back to something else they might want to check out. In-Page Analytics are where things really become fun. This displays your homepage, along with some critically important information. Most noticeably, you get bubbles on links that indicate the number of users who clicked on them, so you can see at a glance what's drawing people's attention and if anything important is simply being lost. If what should be a draw isn't, a quick redesign or reworking is often helpful. Something as simple as the difference between 'Photos' and 'Gallery', for instance, can be dramatic, just as a page with a direct call to action such as 'Click Here For Free Stuff!' will usually perform better than one that simply states 'Free view. As the name implies, this is your guide to where everyone is coming from – which can be extremely fragmented when services such as Facebook and Twitter get involved, or if your page is linked from a big site. That tends to have a ripple effect as other people pick up on it or simply reprint the original story/link. Traffic Sources helps drill down and figure out exactly what's going on. The most important data is Search (which tells you how people are finding your site) and Referrals (which traffic has arrived from somewhere else). Let's start with Search. It's split into two types: Organic and Paid. Organic simply means regular search engine traffic from users typing in things of interest, which is where the bulk of it is going to be unless you run a lot of campaigns. Paid is based on keywords, such as Google's AdSense. It's vitally important to track this if you have bought any, but otherwise this table is blank. Select 'Organic', and on the list of rows that pops up, choose 'Keyword' as your primary dimension' (that is, what you want to sort by) and underneath, 'Traffic Sources > Landing Page' as the secondary dimension (what to show for that). This gives you a list of search terms along with the pages people found. Some may be doubled up, but that's okay – by default they're sorted by the number of visitors, so you can see which one is winning. If you don't see the search terms you want on the list, it's time to break out a little search engine optimization to redress that. Don't, however, worry if you see crazy ones, too. Every website gets searches you can't believe anyone typed, never mind found you for. Just laugh them off or keep a collection of the best ones, but don't waste time stamping them out. Referrals are similar, except the 'Primary Dimension' should usually be 'Source'. This lists referring websites by domain, and clicking on one drills down to specific pages. In the case of a blog linking to you, for instance, you'll usually see one referral from the homepage and another from the specific page. Here is also where you'll find links from social networking sites such as Twitter, though the results for those can often be more confusing than helpful. As far as social networking goes, which covers Facebook, Twitter and many others, there's semi-good and bad news. The bad news is that Analytics has limited support for these sites, and in many cases tracking is effectively impossible – its metrics are based on users being sent from another website to yours, not bouncing in from apps or handling tweets, retweets and the like. The semi-good news is that it's possible, if fiddly, to use a tool called Social Interaction Analytics to pull information from at least share buttons, though it's not a one-click process and often requires getting your hands dirty. If you're not comfortable with that, your best bet is simply to watch for big surges to specific pages and check the referrers for any telltale social links. With Facebook's walled garden, that may be all you can get. With Twitter, copy the URL of the popular page into its search bar and you can see who's publicly linking to it. Don't worry about URL shortening services such as bitly – Twitter automatically decodes them during the search. With these tools, and the other data they're capable of pulling in, Google Analytics is the perfect control panel for any site – the big, the small, the personal portfolio or your e-business. Dig around in its data and you'll find everything you need. Take heed of what it tells you, and your website can only flourish as a result. Start by picking a rough date range to take a look at. This can be anything from a single day (though you won't get much from that) to multiple years. Click 'Compare to Past' and you can add another data range to overlay – last month is usually the most useful. Every option down the left-hand menu in Standard Reporting offers a more specific Overview screen where you'll find most of the information you need – top searches, top referrers, most popular pages. The date range is maintained whichever you visit. Once you've got enough data to see what's relevant, create a Custom Dashboard with only the most important data. It's not only more useful, but it saves you being distracted from things that matter by less relevant information -countries, for instance, might be interesting to see, but are often full of what is essentially garbage data due to search results. No information is ever deleted, and you can always head to a dedicated report if you need to see it. The four most important types of traffic are direct, referral, organic and paid. Direct is a user simply typing your site URL into their web browser. Referral is when they follow a link on another page to get to you. Organic is when they find you via typing a term into a search engine. Paid is what it sounds like -though specifically it usually refers to advertising or traffic brought in by search engine keywords you've put money behind. There are services out there that will send as many visitors as you want to your site for a fee, but that's purely a question of boosting your numbers to look more popular than you are, rather than actually widening your audience. About Author: Manmeet Singh is a self-employed internet entrepreneur and founder-webmaster of http://webprecision.net/. Also working as Consultant for Open-technology.com since 2005.